I made the Men's size and they fit his US 12 feet! I made them a little longer than the pattern called for after consulting a shoe size to inches chart somewhere on the 'net. Very nice yarn - soft and squishy, only snagged a few times with it's multi-multi-ply construction. 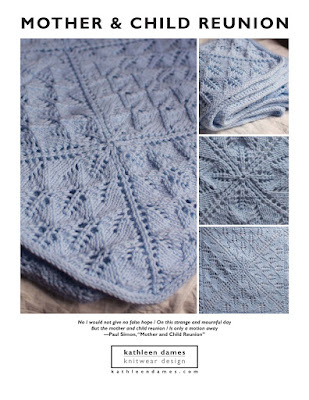 I may consider this yarn for Norah Gaughan's Capecho from last year's Vogue Knitting (the yarn called for in the pattern). It's also washable, which makes it more viable for a winter white accessory. And certainly makes it more viable for a brother, even if he is married (they have a small person and both work full-time, so they don't have a lot of time to coddle handknits). Each sock took me a couple of days to knit, and I didn't work on them 'round the clock. I might need a pair for myself - we'll see. Closing in on the end of the hood for my Slouchy Cardi clearly means it's time to find the next project, if only to constructively avoid seaming. Hehe. I made a deal with myself that I couldn't knit anything else until I finished Michael's sock, and I ended up spending a lot of time on Ravelry looking for next projects. I'm good at avoidance, eh? I still remember alphabetizing my books freshman year of college at American University (I transferred to Washington University in St. Louis after that first year) to procrastinate studying for finals. I do a little better now.